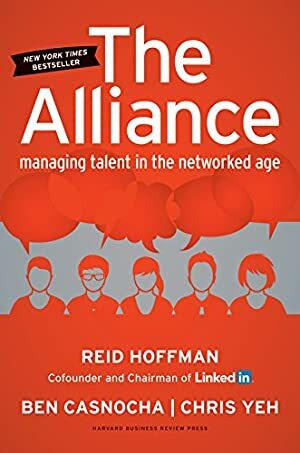 By putting this new alliance at the heart of your talent management strategy, you'll not only bring back trust, you'll be able to recruit and retain the entrepreneurial individuals you need to adapt to a fast-changing world. These individuals, flexible, creative, and with a bias toward action, thrive when they're on a specific tour of duty"when they have a mission that's mutually beneficial to employee and company that can be completed in a realistic period of time. Coauthored by the founder of LinkedIn, this bold but practical guide for managers and executives will give you the tools you need to recruit, manage, and retain the kind of employees who will make your company thrive in today's world of constant innovation and fast-paced change. Track It. This book has been $11.21 within the past year. Log In to track Ben Casnocha on eReaderIQ. to be notified each time the price drops on any book by Ben Casnocha. to stop tracking Ben Casnocha. Log In to track Chris Yeh on eReaderIQ. to be notified each time the price drops on any book by Chris Yeh. to stop tracking Chris Yeh. The price of this book has changed 193 times in the past 1,821 days. The current price of this book is $15.29 last checked 17 hours ago. This lowest price this book has been offered at in the past 90 days is $13.26. This lowest price this book has been offered at in the past six months is $12.68. This lowest price this book has been offered at in the past year is $11.21. The lowest price to date was $6.99 last reached on April 2, 2015. The highest price to date was $15.30 last reached on January 13, 2019. This book has been $15.30 2 times since we started tracking it. We last verified the price of this book about 17 hours ago. At that time, the price was $15.29. This price is subject to change. The price displayed on the Amazon.com website at the time of purchase is the price you will pay for this book. Please confirm the price before making any purchases.